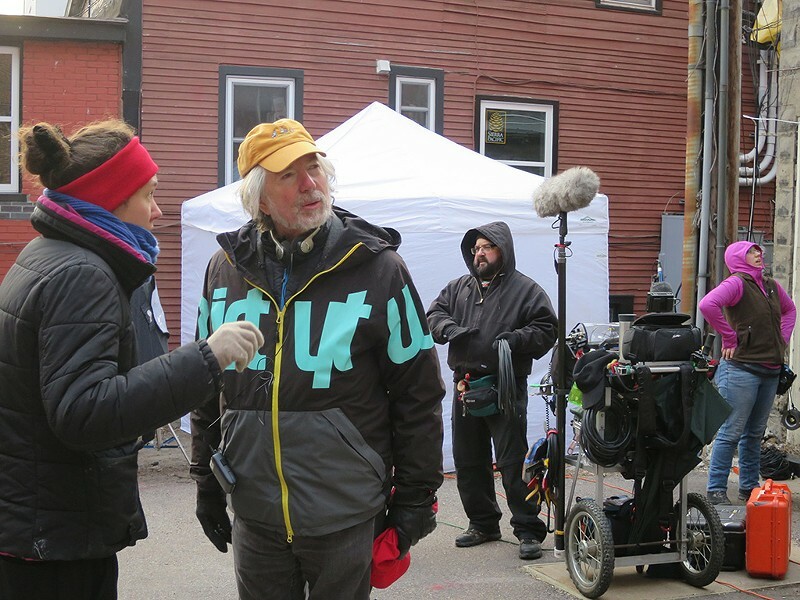 In a brick-walled alley in downtown Burlington last week, director Jay Craven remarked on the unpredictable events that had complicated the shooting of his upcoming film, Wetware. Less than 24 hours earlier, the owner of a planned shooting location had rescinded his permission, which necessitated a last-minute scramble for an alternative site. What's more, the temperature was plummeting and expected to reach an unseasonably frosty 18 degrees — and the crew was here to shoot exterior scenes. Craven was unfazed, though, his voice even and calm. "You just have to be flexible all the time when you're making movies," he said. He acknowledged that Wetware, his 10th feature, is challenging for reasons beyond the merely logistical. Based on the novel of the same name by former Vermont author Craig Nova, the movie marks Craven's first excursion into the genres of science fiction and film noir. Most of the features that Craven has directed for his Kingdom County Productions fall squarely into the "historical drama" category; Wetware is set in a dystopian near future. But the film's sense of place — or lack thereof — represents the biggest departure from Craven's previous work. The director has built his reputation as a maker of "place-based" cinema: movies that are steeped in the landscapes and histories of specific geographic locales. Craven's "place" is the Northeast Kingdom. It's where he resides and where he has shot such films as Where the Rivers Flow North (1993), A Stranger in the Kingdom (1999) and Northern Borders (2013). The alley was one of several locations that Craven had chosen precisely for their anonymity. The shoot might have been in Burlington (another first for Craven), but the intent was to make the set look like Any City, USA. To that end, a bevy of twentysomething crewmembers scurried through the alley. They steered onlookers away from the site, concealed electrical cables behind shrubs and affixed a deliberately tacky, H-less "OTEL" sign to a door frame. For Wetware, as for his previous films, Craven has assembled a crew of college students and young professionals. Some are former students of his at Marlboro College, where Craven teaches film. Through his Movies From Marlboro program, students from Marlboro and other colleges can get academic and professional credits for their unpaid work on Craven's films. "They're good, they're solid, they know what they're doing," Craven said of the students, "but they've not been given this opportunity [before]." He singled out costumer Alison Pugh, who was a costume assistant on Craven's 2015 film Peter and John. Now, at age 22, she'll receive the costume-designer credit on Wetware. Jake Haehnel, the film's second second assistant director, is a veteran of Movies From Marlboro. He confirmed the value of that experience. "The biggest thing I got from the program was that I met a few really good people," Haehnel said. "In the years since, I've gotten a lot of work from those contacts — and not just the higher-ups ... For the students [in the crew], it gives them a taste. A lot of them find out if it's really what they want to do." 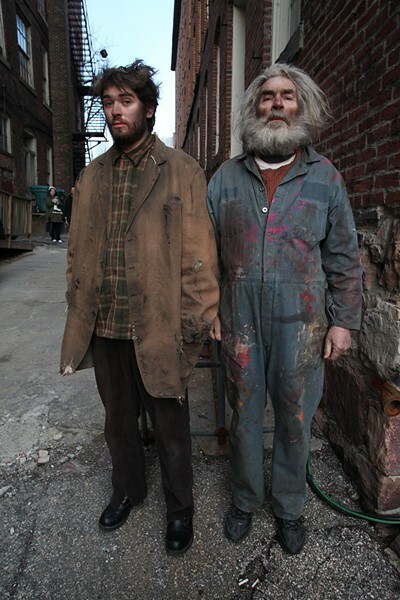 The shot before the cameras was a simple one: a man and a woman walking down an alley to the door of a fleabag hotel. But it's an important moment in the film's story. The characters, Kay and Jack, have been genetically altered to perform menial tasks — such individuals are the "wetware" of the title. This scene will be the first time viewers see Kay and Jack after their escape from the lab where they were created. Scheduled to camp out in the alley until 4 a.m., the crew was hunkering down for a long, chilly night. Coffee, heated tents and chemical hand warmers helped with the cold, but the actors had to endure it in their uninsulated costumes. Most of Craven's previous features boast at least one marquee name: Kris Kristofferson headlines Disappearances (2006); Bruce Dern won acclaim as the lead in Northern Borders. Wetware's cast includes just one familiar face: "Sliders" and Jerry Maguire actor Jerry O'Connell. Most of the other roles in the large cast (26 speaking parts) are played by up-and-comers from television, theater and even circus performance. "We don't really have a star, as such, in the picture the way we usually do," Craven said. "When you start casting younger actors, the star actors are way out [of budget], because every kid who's ever been in a television series is considered by the agents to be solid gold." So Craven had to find ways to stretch his budget. The film's entire production design costs just $15,000. Wetware's overall budget is still in flux. At press time, a Kickstarter campaign had raised nearly $21,000 toward its $48,000 goal. The production has not received grants from arts organizations. A portion of Wetware will be shot in Nantucket, in part because Massachusetts — unlike Vermont — offers incentives to independent filmmakers who shoot there. Craven shot Peter and John on Nantucket for the same reason. Distribution of the film is an even bigger question mark. "This is a nonprofit model," Craven said. "This is not commercial cinema. That doesn't mean that it doesn't have an audience and won't play Netflix ... but we know what the reality is for distribution." He attached some numbers to that reality: Craven's company has not realized "a nickel," he said, from the sale of approximately 50,000 DVDs of Northern Borders. Short-term licenses from cable channels won't close that budget gap. Craven seemed no more upset about this lack of profits than he did about the frigid temperature. His interest in filmmaking, he said, is that of an educator and community organizer. He envisions a model for filmmaking not unlike those for regional performing arts: one that combines "experiential learning" and "sustainable, regional narrative production." "Building an audience isn't about making a blockbuster," Craven said. "It's about developing an audience that wants to be in a conversation about, and somewhat connected to, the media that's being produced [in their area]." Shortly after making those remarks, the director stepped away to supervise the framing of the night's first shot. The crew and cast members were ready. The camera began to roll, and this anonymous alley was suddenly transported to another place and time. Learn more about Jay Craven's Wetware and previous films at kingdomcounty.org. The original print version of this article was headlined "Jay Craven Ventures Out of the NEK, and Into the Future, for New Film"